“Humph! I am not playing with you any more!”, was a common phrase in our home for a couple of months. Where did my 5 and 3 year old pick up this phrase? And why are they saying it all the time!? A review of a recent study on attention spans in young children helped me find the root to my problem. It is a well-known fact that young children have short attention spans. Adults general understanding of this fact helps to pave the way for a bit of mercy and lenience with young children when we try to keep their attention while reading a book or teaching a new skill (or doing anything really!). Adults assume that their whole message may not be getting through to children as they read to and teach young children, but adults also assume that by the end of our book or teaching moment that the child usually will comprehend the entire meaning of the lesson or story. Should we make this assumption? 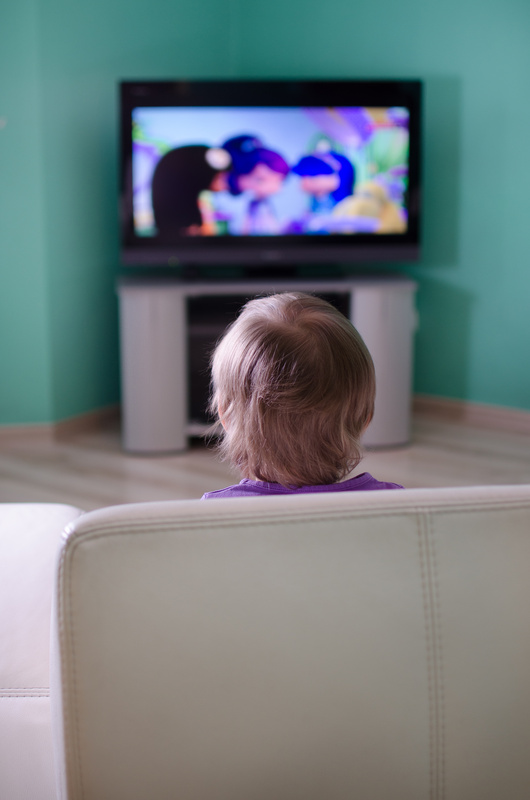 A new study published in the Journal of Applied Developmental Psychology called Evaluating the Effect of Educational Media Exposure on Aggression in Early Childhood (see citation at end of article) concludes that young children have such short attention spans, that even while watching educational television shows, they cannot always focus and comprehend the entirety of a show. When characters are unkind to one-another during the program, a young children will remember the unkind exchange, but may not possess enough scope to connect the apology at the end of the episode to the unkind exchange at the beginning of the program. Toddlers and preschools make focus on unkind phrases or aggressive exchanges made by the heroic, protagonist characters and mimic them instead. I typically don’t make any life changes or sweeping assumptions after reading the results of one study. I generally like to see several studies published by various groups, with large sample sizes done time and time again with similar conclusions before assuming a new conclusion is hard evidence. However, I took the beloved PBS program Arthur out of our Netflix queue after reading this study because their point is convincing and the cost of choosing more positive programs and books during the years is very minimal. Even if another study, done at a later date, concludes a different finding, heading the results of the current study will not put you or your children at a loss. Arthur is a lovely program, but is geared more for school aged children. It’s focus is on teaching social skills and working through interpersonal conflicts. If the above article’s findings are true, than an television show geared for a school age child, filled with many scenes of social conflict, may not be the best choice for my preschooler and toddler because their attention span is too short to connect the lesson about how one should behave to the conflict that demonstrated how not to behave. Therefore, their short attention spans bar them from concluding that the negative behaviors are undesirable, but rather “good” because the protagonist is modeling them. The authors of the study also suggests that social conflict stories from books, not just television programs, could cause the same effect. 1) Stick to the ptetheroa of toddler programs and shows available that focus on positive exchanges. 2) When you do choose to read a book or watch a show that includes social conflict, don’t wait for the story to wrap it self-up with the happy ending. Ask your child along the way: “Was that a nice thing to say?”; “What could he do differently?”; “Do we treat each other like that in our family “; “Was that kind?”. 3) You can help older children walk back through the story by restating all the main events, helping them to connect the conflict to the resolution. Keep in mind, that I am not recommending that you shield children from all things negative. Young children need a chance to process negative and positive social exchanges. Instead, keep in mind that your toddler and preschooler’s attention span is short, very short, and so they will need quick reminders while they process stories to help point them in the right direction. Instead, use adults interjections to remind children of better behaviors to help curb them from mimicking the modeled negative behaviors from books and television programs. It is much easier to do this during a time of shared reading than during time in front of the television or a movie. Usually, parents are not present during time in front of the TV, which is why I choose to take Arthur out of our queue. I don’t typically watch TV with my kids, so shows that may teach my children negative phrases or behaviors have been officially cut from our list. I will admit, that the phases used at the beginning of this article came from one such show on PBS. A lovely show, but it will just need to wait a couple of years until their attention spans are a bit longer.